Do you love TheBalm as much as I do? 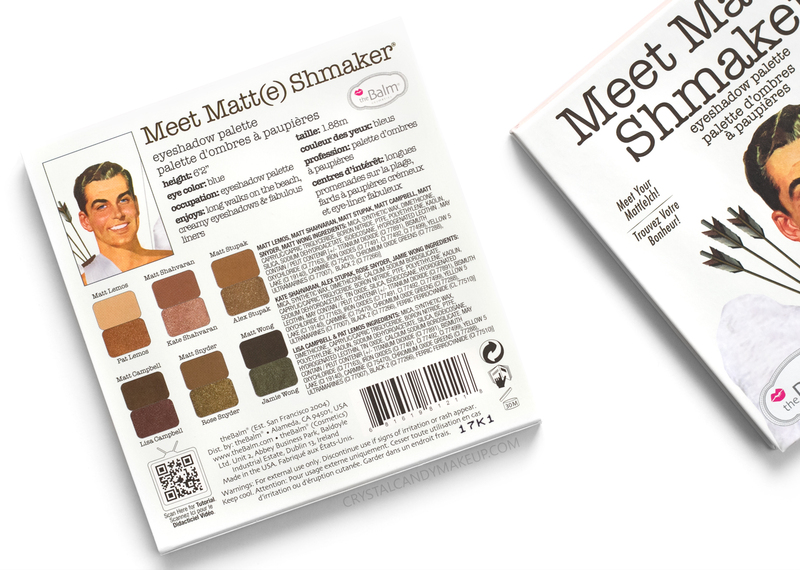 Then I would suggest to check out their new Meet Matt(e) Shmaker palette! 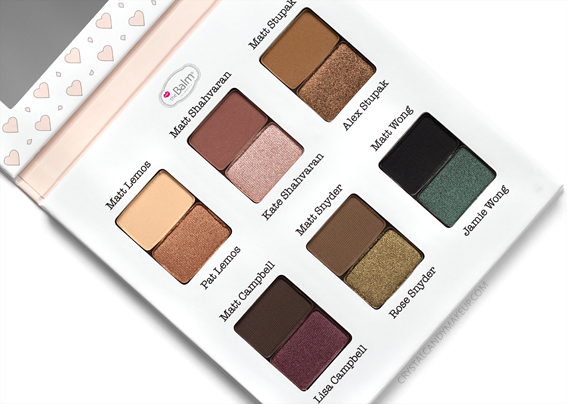 This palette contains 12 eyeshadows (6 matte shades and 6 shimmery colors) and the formula is said to be highly pigmented and velvety smooth! I love the idea behind this palette, every matte shade is paired with a shimmery shade to create the perfect color combo. The duos are beautiful, but you can mix and match them too! All the colors have great color payoff, even without a primer. The shimmery shades are very smooth and buttery!! In fact, the formula reminds me of the new Make Up For Ever Artist Color Shadows. 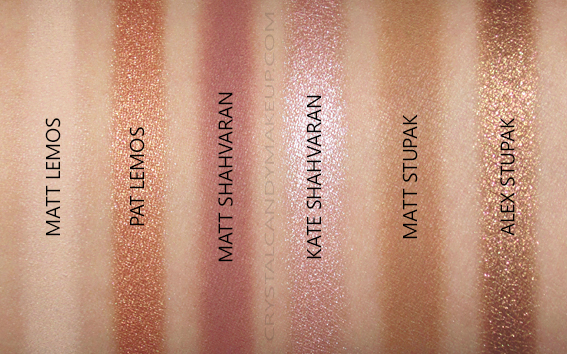 The matte shades aren't the silkiest eyeshadows on the market, but they are softer than the other matte TheBalm eyeshadows I've tried out. In term of blendability, the shimmery shades are top-notch! Most of the mattes are easy to blend too, but Matt Campbell and Matt Wong are quite difficult to work with and can look patchy. You really need to build up the color gradually with one of the lighter brown shades, such as Matt Stupak. These two shades are beautiful on the upper or lower lash line, though! 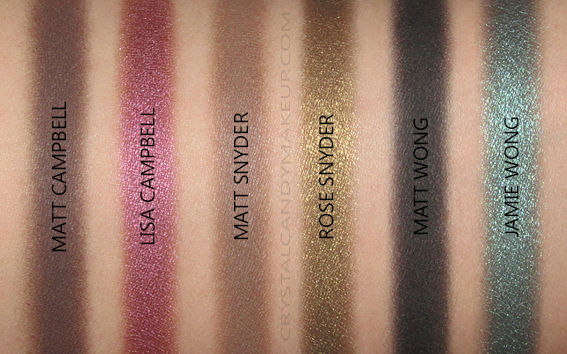 I love the color combinations in this palette, and the shimmery shades are incredible! 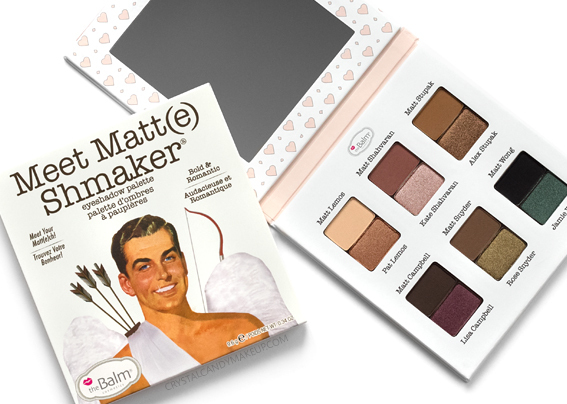 The TheBalm Meet Matt(e) Shmaker Eyeshadow Palette retails for $29.50 US for 9.6g. I haven't been excited about an eyeshadow collection for a while but this is right up my alley! I usually do natural looks but I like that there's also purple and green! The green is quite easy to wear!